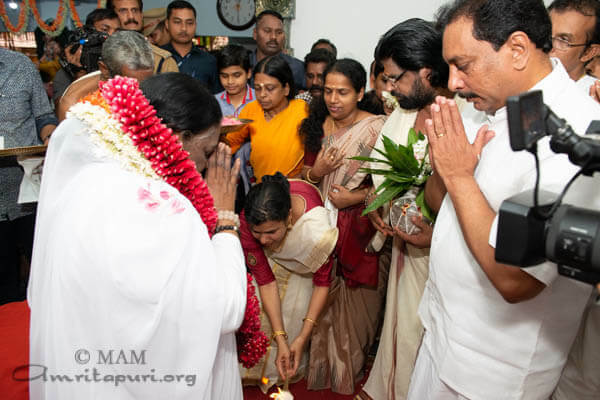 Amma visited Kozhikode two days for the annual Brahmastanam Festival. 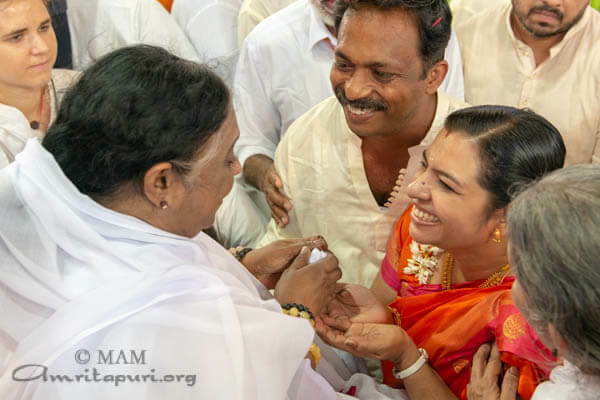 Like at every visit, Amma was welcomed by a sea of devotees, waiting to catch a glimpse of their beloved Amma as she arrived. 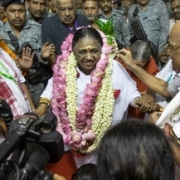 Accompanied by traditional drumming, Amma stood gazing down at her children from the ashrams inner courtyard balcony for some time. 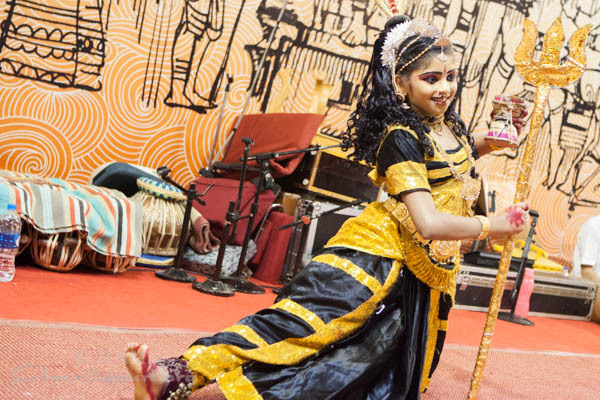 Students of Amrita Vidyalayam displayed an array of stunning dances and heart stirring bhajans. 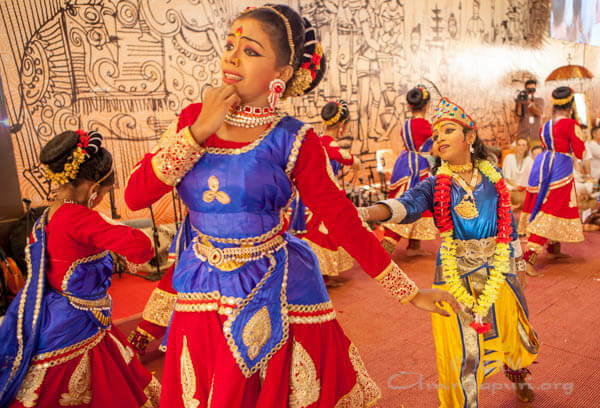 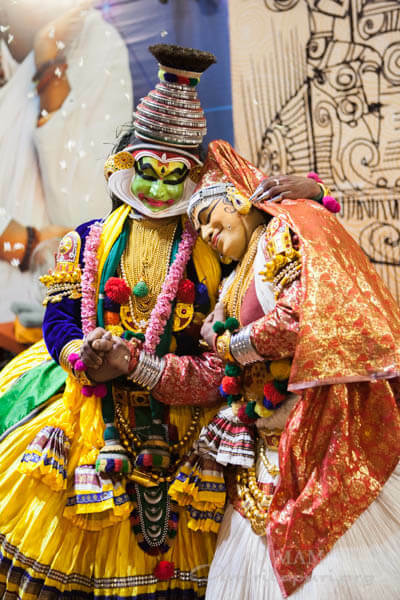 Two of the school teachers also gave a special performance of the traditional Kerala Dance form Katakali, depicting the story of Krishna, who went to the house of Radha, but found the door locked. 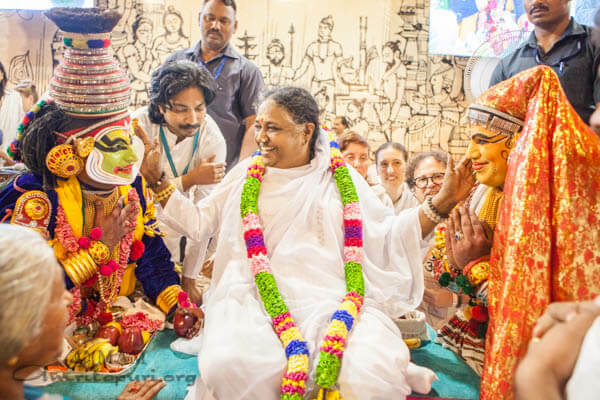 Only when Radha heard her beloved Krishna say: ‘I am your Prana, there is no difference between the two of us’ Radha opened the door and the devotee and the Lord met in divine reunion. 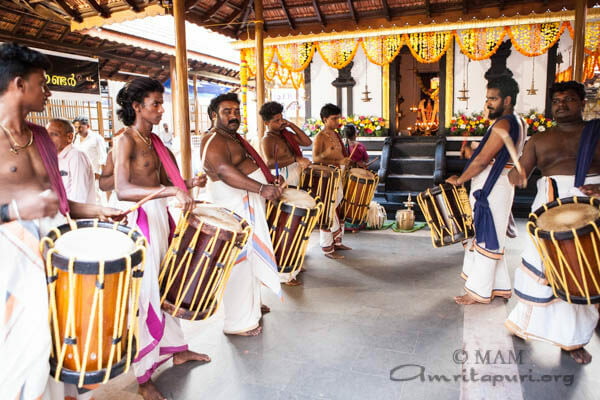 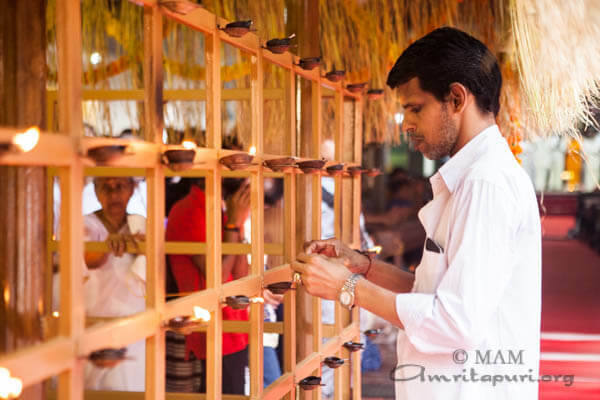 The story was based on a poem written by Ottoor, the renowned Kerala poet who also composed Amma’s 108 names. 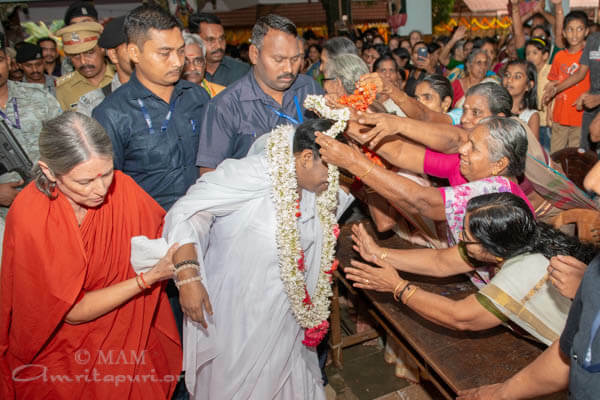 As always in Kozhikode, the crowds coming to receive Amma’s blessings were huge, even despite the scorching heat. 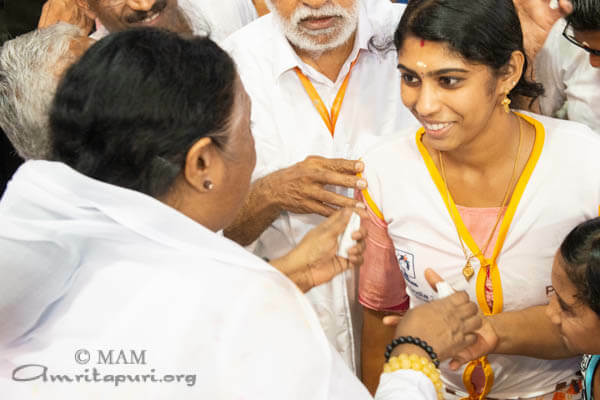 On the second programme day Amma went on to give Darshan for more than twelve hours, followed by baby feeding (annaprasham) and baby writing (vidyarambham) ceremonies with over 50 children. 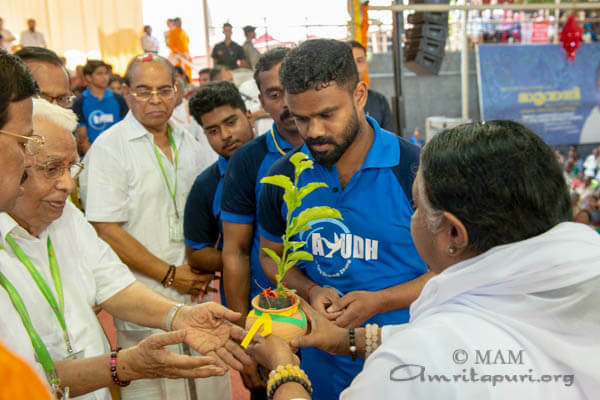 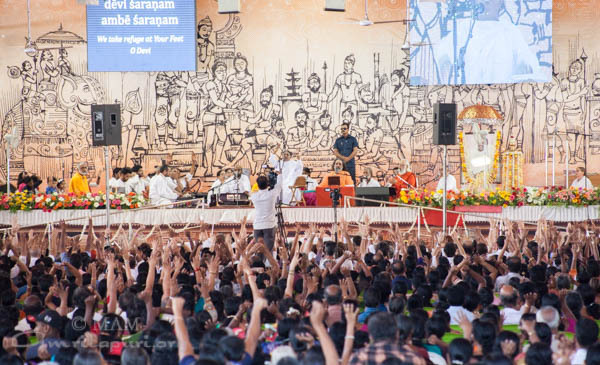 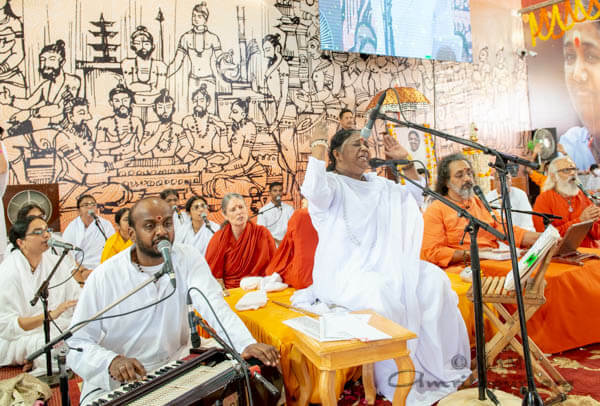 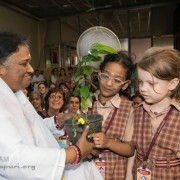 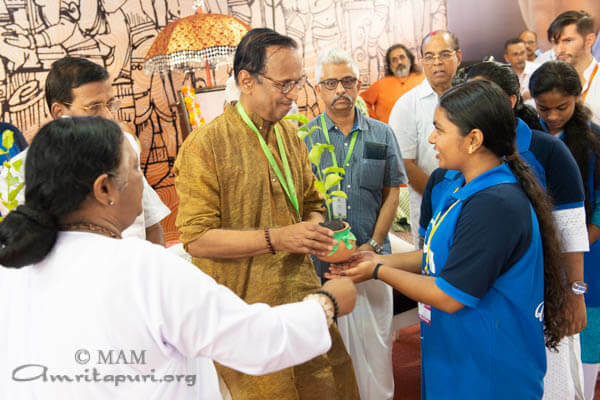 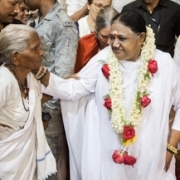 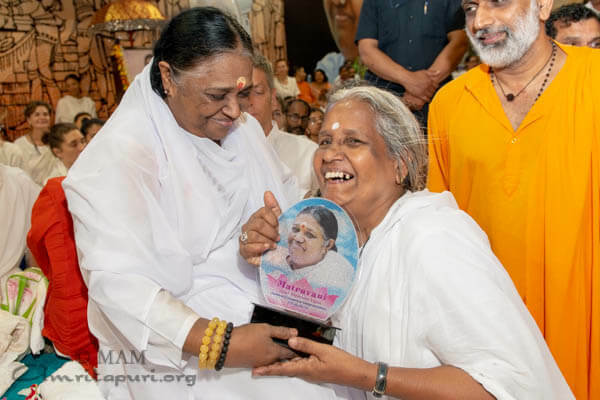 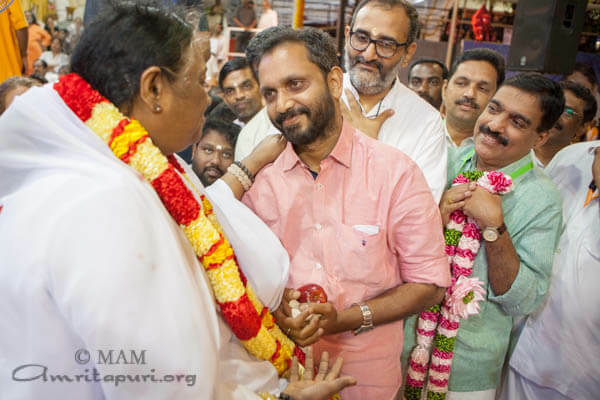 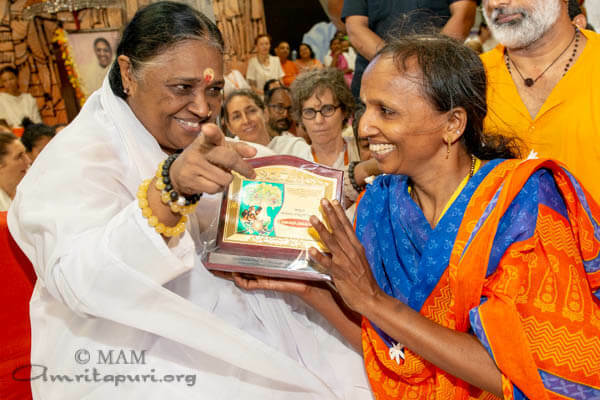 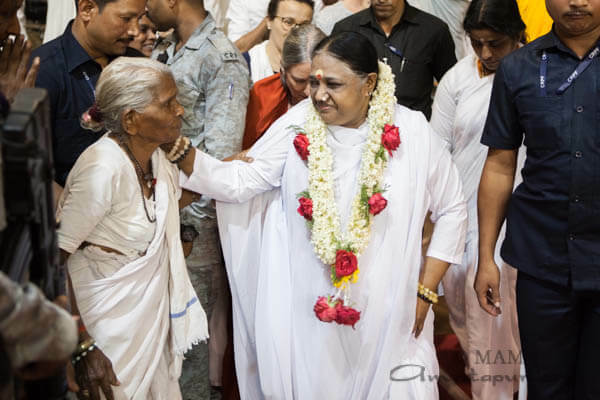 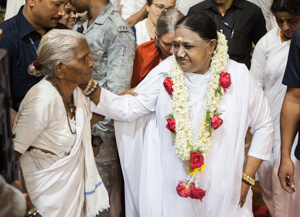 As Amma was giving the first feeding in the form of payasam to those kids, many in the audience were reminded of the sweetness of the motherly love that only Amma can shower on one and all – without end.